CARPACCIO'S ART A big exhibition that traces the last years and works of one of the most significant artists of the Renaissance. A great opportunity to discover treasure of what has been defined an "open air museum": the Marca Treviso territory. ... a terrytory to experience, rich in delicacies and masterpieces of architecture like the Palladian Villa. An emotional tour that will make unforgettable your stay in the Garden of Venice! Prices per person in double room from € 145,00. 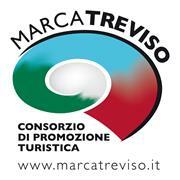 MARCA TREVISO is the Treviso Consortium of touristic promotion at the moment established by about 200 touristic operators (hotels, extra hotels, restaurants, travel agencies, golf clubs, fluvial linkers, guides, museums, villas, etc.) situated in every part of the trevigiano’s erritory. The Consortium devote oneself to support the activity of promo-marketing in favour of its members with the aim of concretize – on economical level- the important touristic offer of the province of Treviso. Thanks to precious support of UNASCOM/ConfCommercio and its operative structure, MARCA TREVISO dispose of an operative organization able to intercept both the operators (Agencies, Tour Operator) and the “self made” tourists with the object to make more efficacious and functional the accommodation in our structure. And then, important, the presence and the contribution of Partners like Camera di Commercio, Provincia di Treviso, Treviso Airport (with AER TRE S.p.A.), this Local Authorities that supported the strategies of the Consorzio. But the most important activities are about “promo-marketing”, thanks the qualified collaboration with a series of promoters which take part to the fairs, to the educational and to the different moments built s the new (but also the classic) markets of tourism. Moreover, the online booking enables operators to upload offers and availability, giving potential tourist the possibility to find with a simple “click” the suitable holiday. Over the years, the Tourist Promotion Board Marca Treviso focused on promo-activities related to different themed holidays and tourist products: this leads to the establishment of various projects related to different topic, like TREVISO FILM COMMISSION (www.trevisofilmcommission), which aims to promote the province of Treviso, with its highly scenic natural, artistic, architectural, historical, landscape attractions to the film industry; MARCA TREVISO CONVENTION BUREAU (http://conventionbureau.marcatreviso.it), which takes part to the project “Venice Region Convention Bureau Network “ promoted by the Regione Veneto and manages to coordinate the MICE offer, proposing it to operators; CLUB TREVISO- SPORTSHIRE (http://clubsport.marcatreviso.it) , which involves a group of hotels suitable to match the particular needs of the people who want to experience a sport holiday, guaranteeing the quality and services certified by competent authorities; the Veneto Region nouned Marca Treviso as project leader of GOLF IN VENETO (www.golfinveneto.to), a project that involves the best golf courses located in Veneto and provides an action plan for coordinated promotion; as well as the tourist product ACROSS VENETO (www.acrossveneto.to), which aims to highlight the artistic and historical heritage of the Veneto region, addressing both believers as well as laypeople. MARCA TREVISO TRAVEL is the incoming tour operator of the Tourist Promotion Board, which build up interesting themed tourist packages, involving members of the Consortium.